The Confederation of Free Trade Unions of Ukraine is continuing its campaign against the new Labour Code with a appeal to the International Labour Organisation. 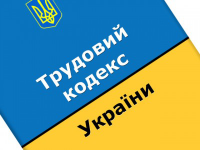 We would like herewith to inform you of a draft law of Ukraine, which will considerably complicate and delay the registration process for the foundation of new civil society organizations and trade unions. On July 14, 2015, the Verkhovna Rada of Ukraine adopted in the first reading the draft law of Ukraine “On the state registration of legal entities, natural entities-entrepreneurs and public associations” (hereinafter – draft) registered under #2983. In particular, the closing provisions of the draft stipulate alterations to the Law of Ukraine “On trade unions, their rights and guarantees of activities” (hereinafter – the Law on Trade Unions). Thus, it is proposed not only to change the title of Article 16 “The legalization of trade unions and their associations” to “The order of establishment of trade unions and their associations” but to abolish the norm of informative legalization. The draft cancels current laws that require the state to legalize newly formed trade unions, without discrimination or delay. Instead, an arbitrary and complex process of state registration is introduced. The proposed process would significantly complicate the formation of trade unions, be easily subject to manipulation to deny and delay registration, and would have sweeping negative consequences for guaranteed freedom of association rights. This legislation is a significant rollback of rights currently guaranteed in Ukraine. – ILO Convention #98 “On the Right to Organize and Collective Bargaining”. In particular, ILO Convention #87 defines the right to establish at one’s discretion organizations without previous authorization, and to join such organizations. Despite these rules, Article 16 of the Law on Trade Union will dramatically change the procedure of forming trade unions and their organizations. The draft law also amends the moment when trade unions acquire the status of legal entity (from the date of their state registration, not from the moment when the statute was approved as determined in the current Law on Trade Unions), which is a direct violation of the ILO Convention #87. This would likely lead to a delay of at least 30 days, leaving workers more vulnerable to harassment and retaliation. Also, the draft cancels the provision of the Law on Trade Unions that the authorized body may not refuse to legalize trade unions, trade union associations, and instead includes general principles for refusing registration of legal entities which will be applied to trade unions. In practice, this will create obstacles to the registration and unjustified refusals to register trade unions. – re-registration of all trade union organizations (which are currently registered) defining the longest period of such registration – 30 days (as opposed to other legal entities which is 24 hours). This would not only complicate the functioning of trade unions, their associations and trade union organizations at all levels, but also suggests that the law intentional targets trade unions with the intent of obstructing their registration. Separate laws regulate today the registration of legal entities, natural persons- entrepreneurs, and public associations. This law would cover all such entities, although requiring a slower process for trade unions. The draft introduces strict state control over activities of trade unions and public organizations and could fairly be interpreted as an attempt to allow government’s interference and control over civil society organizations and trade unions. This legislation will significantly damage freedom of association in Ukraine, which is already a weakly protected right. The draft is significantly regressive, and would likely lead to a substantial increase in governmental interference in civil society. – Under conditions of war in the countries, people possess a lot of weapons – and this is on the background of acute attitude to injustice among population. In such a situation the weakening of the role and protection function of trade unions, in a short period of time, will entail with confrontation between the impoverished unprotected people and the governmental institutions. Taking into account the fact that Ukraine has a long borderline with the EU, non-fulfillment of the international norms and standards might impact peace and tranquility in the EU countries. Considering the aforesaid, we would like to kindly request you to carry out an expert assessment of the mentioned draft law, in order to prevent violations of international norms and standards.